Chances are, if you’ve ever considered opening a yoga retail business, someone has pulled you aside and shared with you three rules of success – location, location, location. But the question is, how do the three L’s apply to the hybrid retail/service business of yoga, pilates and other wellness-based practices? And, what do we mean by location anyway? Is it the type of building, the road we’re on, the town we’re in, the friends we make, or some combination of these and other factors? The answer is, all of the above. So, here is a short primer on how the three L’s apply to selecting the best possible location for a wellness-based studio. Location Tip #1: There Is an Inverse Relationship Between Marketing Expense and Retail Exposure. What does the heck does that mean? The more you pay for retail rent, the less you should expect to pay for marketing and vice versa. Why? Because a good retail location will drive a lot of foot/car traffic past your storefront and this increased exposure serves as a proxy for marketing and PR. Conversely, a non-retail location will require more effort and money to let people know you exist. Either way, your combined monthly rent and marketing budget is going to be about the same. It’s just a matter of how hard you want to work to get people in the door. One thing you shouldn’t do is fool yourself into thinking you can pick up a dirt cheap location and get by with little or no marketing. This assumption almost always leads to under-funding, the number-one reason for new business failure in the U.S. Location Tip #2: Know Your Options. 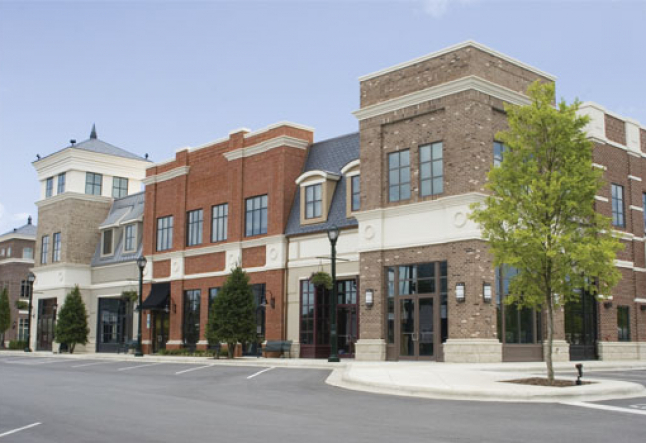 Choose a shopping center with big anchor tenants who pull in your target market at least once a week, i.e. supermarkets. Power Tip: Stay away from these, but if you just can’t resist, at least choose a spot that is close to the road and permits big bold signage. Power Tip: Best for hybrid studio/spa/boutique with substantial retail element. Make sure to utilize windows and set up a real retail area. Power Tip: Often great opportunities that allow for unique, creative space, but be prepared to spend a lot and work harder on marketing and PR to get the word out and keep it out. Location Tip #3: Know Your Demographic! Once you find a space that tickles your fancy, you need to learn whether the surrounding yoga-hood will tickle your bank account as well. The big question is: How many of the people within 10 blocks or a 10-minute drive are “your” people? This is the “zone” from which you will draw the vast majority of your clients. So it’s important to make sure that enough of the people you want to serve live or work within your client-zone to keep your studio alive. How do you get demographic information? These days, it’s actually quite simple. First, if you are working with a broker, ask them to run a “radius study” of the location that breaks out demographic information for the 1-, 3- and 5-mile circles around the spot. All reputable brokers have access to this. The report will give you information on population size, male/female ratio, household income, age, traffic, competitive businesses, neighboring businesses, working vs. residential headcount and much more. If you are going it alone, check out these online resources: bls.gov (U.S. Census Bureau), BuyDemographics.com, Deomgraphicsnow.com, Claritas.com. Another option is to visit one of the large national commercial property databases, like LoopNet.com, find a site near the location you are looking at and then instantly pull up the demographics on that site, free of charge. This is also a great resource for finding locations in your area. Location Tip # 4: Don’t Be Pressured. Landlords and brokers will want you to sign a lease as soon as is humanly possible. This is how they earn a living. So you may find yourself exposed to a variety of claims about other people interested or time-limited offers to get you to sign. Evaluate every space thoroughly and objectively and don’t be bullied. Remember the second rule of business after the three Ls: If it sounds too good to be true, it is!